Walt Disney World is banning selfie-sticks from its theme parks citing safety concerns, as of tomorrow the extendable poles won’t make it past the bag check at any Disney World theme park. The sticks also won’t be allowed in Disney World water parks or DisneyQuest, a gaming attraction at Downtown Disney. Guests will have an option of turning in their selfie-sticks for pick-up later or take them to their cars or hotel rooms.This rule will be added to the park rules post on Disney World’s website. At Disney California Adventure park a roller coaster was halted after a passenger pulled out a selfie-stick and caused the ride to be off for an hour. Selfie-sticks will also be banned at Disneyland Resort in California on June 30th It also kicks in at Disney’s parks in Paris and Hong Kong on July 1. Universal Orlando banned selfie-sticks and other loose items from certain rides at Universal Studios and Islands of Adventure by installing metal detectors to make sure guests are leaving them in the lockers provided but they have not instituted parkwide bans. SeaWorld Orlando also does not keep the sticks from entering the parks. 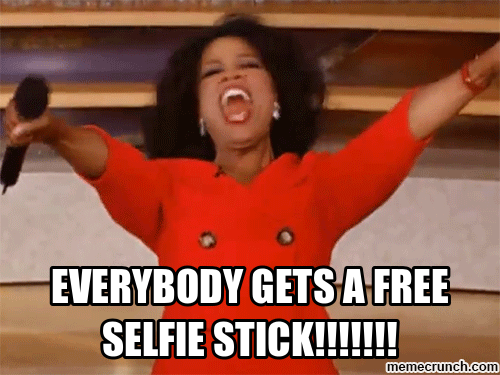 What’s your thoughts on these selfie-sticks? Are you in favour of the ban? We’ve seen these getting used a lot around attractions and can see why people do it, to avoid asking someone or items being stolen etc but what we can’t condone Is guests taking them out on rides or using them at shows affecting the view for the guests behind. We have a home made selfie stick which is a GoPro grenade grip and an articulating arm that can be detached so we can get awesome steady shots while filming or vlogging but we would never use it on a ride (we use a chest mount) and at a show we sit at the back as we don’t want to affect other guests.